An actress, producer, director and animal rights supporter, Doherty is best known for her roles in Heathers, Beverly Hills, 90210, and Charmed. She revealed her Crohn’s diagnosis in 1999. Doherty was also diagnosed with breast cancer in 2015. Two years later, after surgery and treatment, Doherty said her cancer was in remission. The 34th president of the United States and Army general credited for planning and executing D-Day during World War II had surgery while in office in 1956 to remove a section of his small intestine because of a blockage caused by his Crohn’s symptoms. 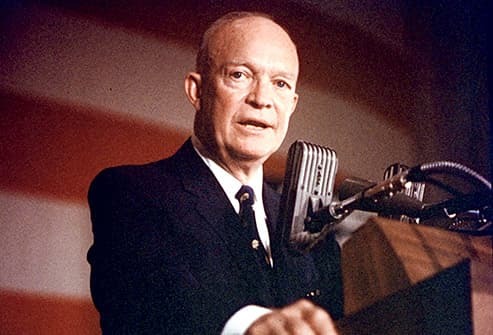 “Ike” had seven heart attacks in his lifetime. He also had his gallbladder removed after he left public office. 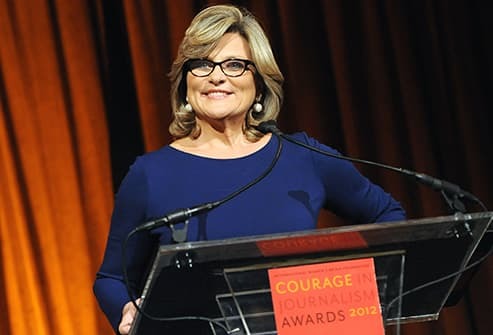 McFadden, an investigative journalist for NBC News and former anchor of ABC’s Primetime and Nightline news shows, learned she had Crohn’s disease while in college. After large doses of cortisone didn’t work, she had bowel resection surgery. Since then, she’s been able to balance the stress of her job with the demands of her disease. The lead guitarist for Pearl Jam learned he had Crohn’s disease at 21. 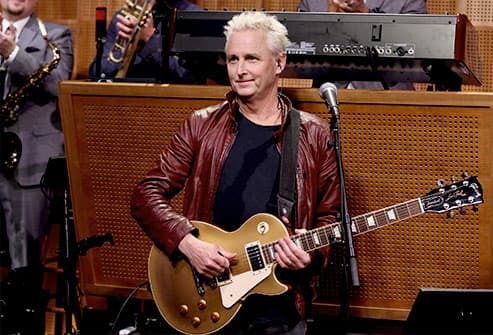 McCready has had multiple on-stage accidents due to Crohn’s attacks. But with the support of his bandmates and a healthier lifestyle, he’s been better able to deal with the disease. McCready is an advocate for health insurance changes, and he hosts an annual benefit concert in his hometown of Seattle for Crohn’s research. 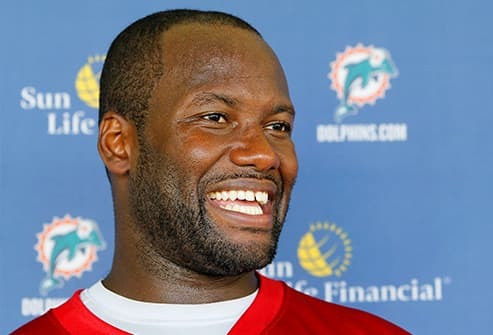 A former quarterback for the NFL’s Jacksonville Jaguars, Garrard had his first bout with Crohn’s while watching TV in 2004. A year later, he had a portion of his intestines removed and was able to continue his football career. Garrard has done several public service announcements about the disease. This former Hartford Whaler was just back from a vacation after his second National Hockey League season when he had serious and constant stomach pain. He learned it was Crohn’s disease. Dineen was able to play for 16 years after his diagnosis. This despite two hospital stays because he felt too weak to skate. With help from a healthy diet, Dineen, now an assistant coach in the league, believes he has his condition under control. 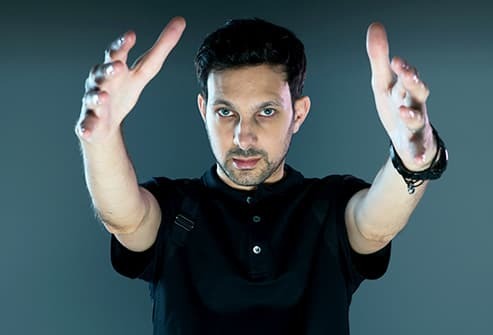 Illusionist Steven Frayne, better known as Dynamo, learned to do magic tricks as a boy to keep from being bullied. He's had Crohn’s since his teens and had a portion of his stomach removed at 17. Despite a strict diet and medicine, Frayne says he wakes up in “excruciating pain” nearly every day. Despite a recent hospital stay, Frayne says he plans to add new magic to his act once he’s healthy enough to perform. 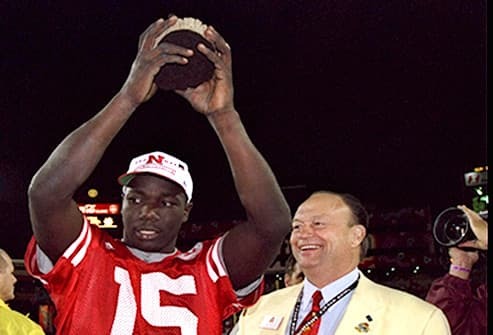 The quarterback of Nebraska’s back-to-back national championship teams in the mid-1990s had his hopes of playing pro football ended by blood clots that were eventually traced to Crohn’s disease. After jobs as a coach, Frazier has found improved health and happiness as an executive with an Omaha health foundation. He was voted into the College Football Hall of Fame in 2013. A two-time presidential candidate and member of the House of Representatives from Ohio, Dennis Kucinich says he keeps his Crohn’s under control with a strict vegan diet and herbal medicine. His own issues with Crohn’s are why health care initiatives are an important part of his political platform. 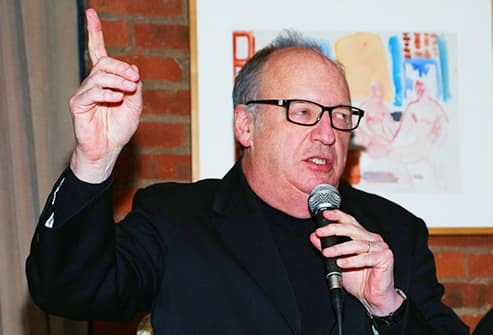 This rock music critic and record producer also leads the nominating committee for the Rock & Roll Hall of Fame. He contributed articles for the first edition of Rolling Stone magazine. But his biggest claim to fame may be that he discovered Bruce Springsteen. Despite his Crohn’s attacks, Landau co-produced many of Springsteen’s studio albums, starting with Born to Run. Miss America 1959 was diagnosed with Crohn’s disease just 3 years after she was crowned. Despite the disease, Mobley was able to maintain a rigorous acting career, appearing in episodes of Perry Mason, Love American Style, and Match Game. She also appeared in two Elvis Presley movies. Mobley and husband Gary Collins chaired events to raise awareness about the disease. She was treated for breast cancer in 2009 and died 5 years later, at age 77. This former first-round pick of the Los Angeles Lakers was diagnosed with Crohn’s disease as a high school sophomore. That didn’t stop him from a stellar career at the University of Wyoming, or a pivotal role with the Lakers before a trade to the Cleveland Cavaliers. Nance says the disease requires him to play on an empty stomach and follow a strict diet to keep his energy up. English singer-songwriter Beth Orton worked as a waitress and owned a catering company before her debut album Trailer Park caught the attention of mainstream media. Orton won Best Female Artist at the 2000 BRIT Awards. She was diagnosed with Crohn’s at 17 but says her diet and lifestyle have ended her attacks. Jim Myers was a talented high school athlete in Madison Heights, MI, competing in track, baseball, basketball, and football. But after a knee injury in college, Myers found a new career as a professional wrestler named George “The Animal” Steele. His 20-year career ended after he was diagnosed with Crohn’s in 1988. He had his colon removed in 2002, which stopped most of his attacks. But he died of kidney failure at age 79 in 2017. 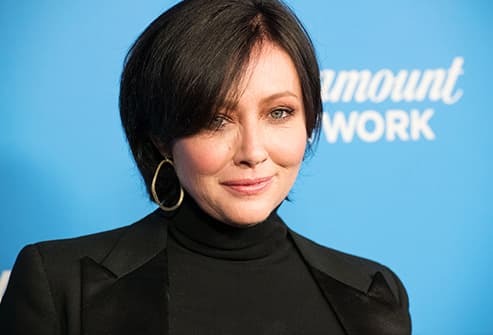 IBD Disease Center of Excellence: "Shannen Doherty and Crohn’s Disease." The New York Times: "In J.F.K. File, Hidden Illness, Pain and Pills." UT Health: "Dwight David Eisenhower." 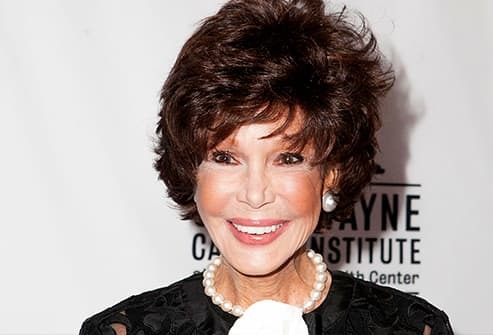 Celebrity Health Minute: "The Big News on Crohn's: Cynthia McFadden's Story." Crohn's & Colitis Foundation: "From Pearl Jam to IBD Activist," "Mary Ann Mobley & Gary Collins' Story." Guideposts: "An NFL Player's Battle With Crohn's." Daily Mail: "How Crohn's disease has helped Anastacia reach the top," "Dynamo steps out after revealing Crohn's disease battle: Magician embarks on day of chores in following devastating video about his condition." 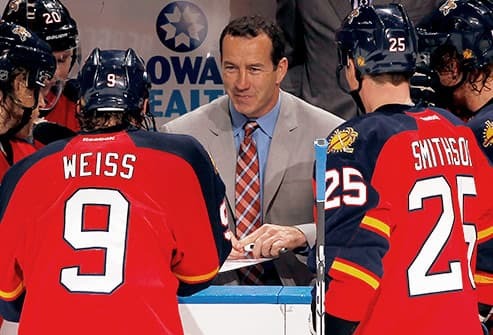 USA Hockey Magazine: "Gut Check: Kevin Dineen." University of Nebraska: "At 39, Frazier Finds Peace, Health and Happiness." 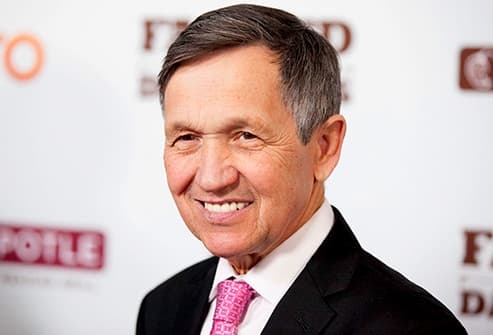 Sandusky Register: "Kucinich tells you why he wants to be governor." The New Yorker: "We Are Alive." 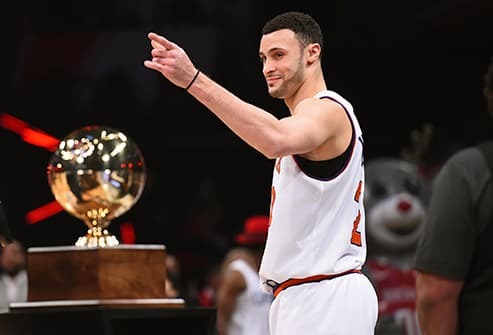 GQ: "The Real-Life Diet of Larry Nance Jr., the NBA Player with Crohn's Disease." 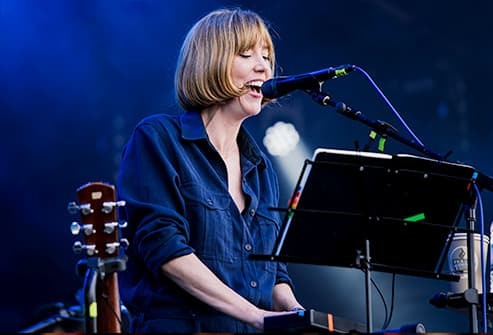 The Telegraph: "Beth Orton on her new album, defining moments and motherhood." 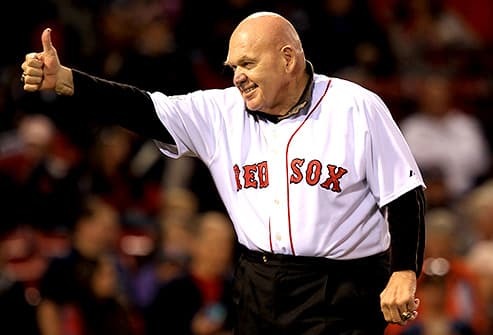 Rolling Stone: "George 'The Animal' Steele, Wrestling Legend, Dead at 79."